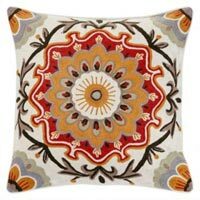 Our variety of Crewel Cushions is appreciated by the clients for their appealing designs and color combinations. 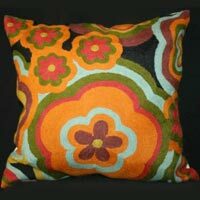 These Crewel Cushions can animate a boring sofa and bring it to life. 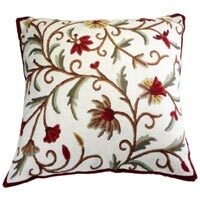 Our Crewel Cushions feature floral and creeper designs, which offer them a distinguished appeal. 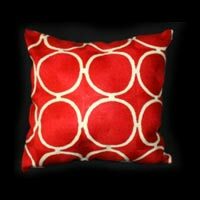 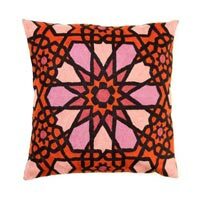 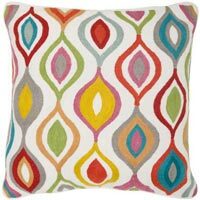 Bulk quantities of these Crewel Cushions can be availed at very reasonable rates from us.